It all starts with Halloween and all the extra treats that are lingering in your candy bowl. Then we are lead into Thanksgiving, where the average person will ingest over three times the number of calories that they should be eating, or even more. Then the winter holidays come along. Family togetherness usually equals lots of snacking, appetizers and big meals. Also, don’t forget all the baked treats! Can you eat all of these things? The answer is yes, but in moderation. Before you put yourself into temptation, tell yourself how much you’re allowed to eat. 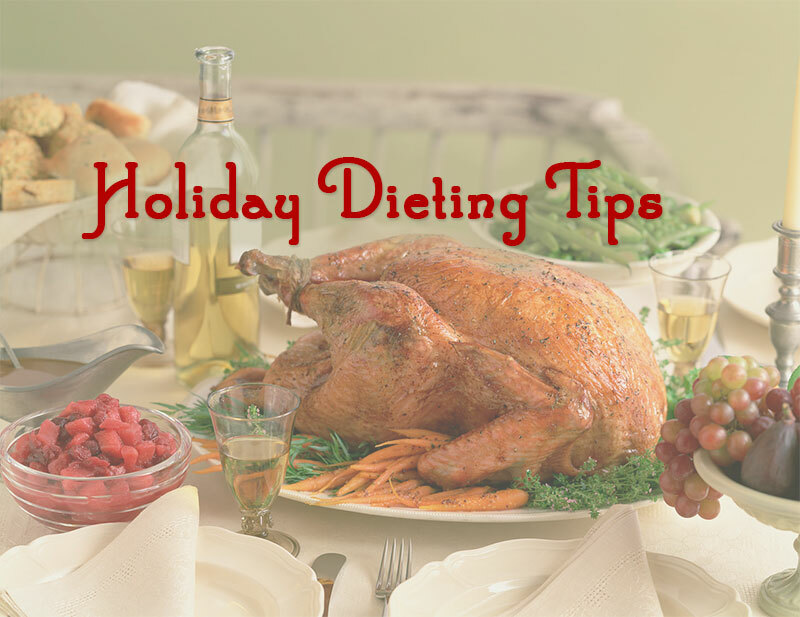 For Thanksgiving and other family holidays, allow yourself to indulge on one item such as the appetizers or the dessert – not both. 2. Don’t Be Too Strict. While you may be tempted to be tough on yourself during other times of the year, the holidays are a time you should allow for some relaxation from the strict behavior. Don’t try to get through entire evenings without enjoying any of the food or drinks. The starvation diet only works for so long until you fail and over-consume. Work on your moderation skills instead. 4. Watch the Alcohol Intake. 5. Wear Tight Fitting Clothes. If you have some issues controlling your holiday behaviors, consider wearing some tight fitting clothes. Don’t make yourself too uncomfortable, but at the same time you’ll feel the reminder if you begin to eat too much. If you’re hosting any of the holiday events, consider going with some healthier alternatives to some popular meals. Healthy doesn’t always mean bland or unappealing. Get creative and try some new recipes. Pop on over to Pinterest and search for healthy meal ideas. 7. Remember to Take Breaks. 8. Eat Before You Go. Just remember to have a good time! If you’re bummed about not getting to eat everything that you want, concentrate on all the other aspects of the holidays. There are many other fun activities to engage in that don’t involve eating! What is your favourite healthy holiday dish?